The cosy 3-star hotel with an unconstrained atmosphere, in the centre of Zermatt. 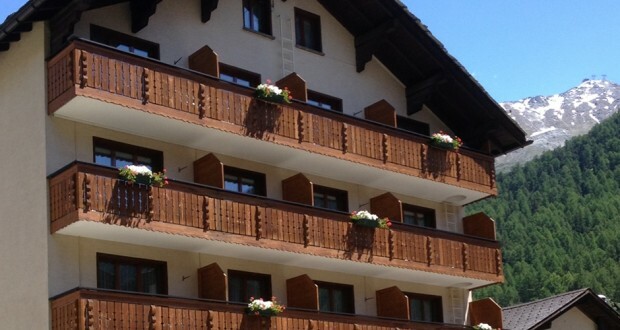 5 Minutes walk from the train station and 2 minutes from the busstop towards the cableways. All rooms are equipped with a bath or shower, hairdryer, radio, telephone, cable TV, minibar, minisafe and balcony. Some rooms have a Jacuzzi, towelheater and a view of the Matterhorn. Free W-Lan in all rooms. Enjoy our little Wellness oasis with sauna, biosauna, luxury shower and relaxation room.